While I was thrift store shopping I found these cool candles. I love pillar candles and these have some awesome texture. They were $1 each and their only problem was that they were burgundy. 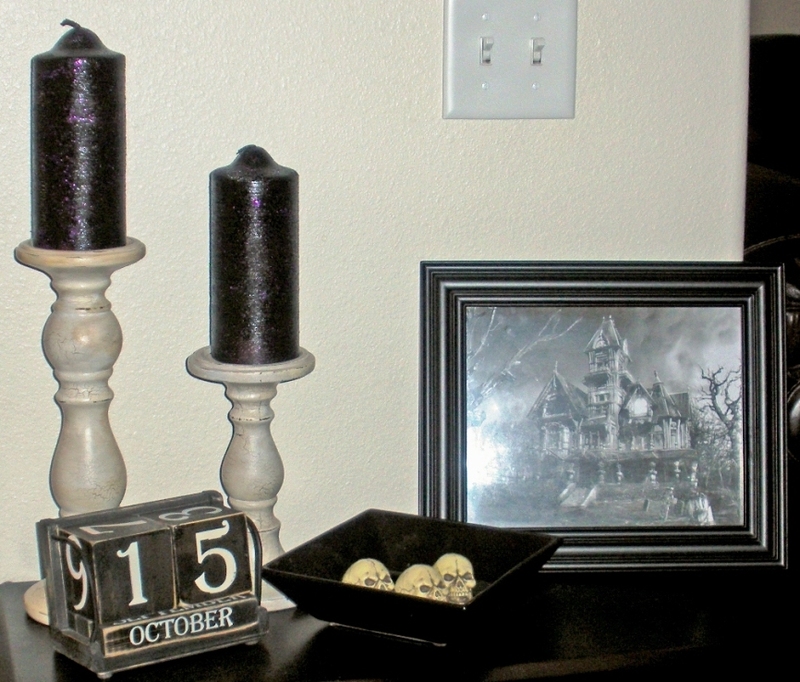 I spray painted them black, lightly brushed them with Mod Podge & then sprinkled them with purple glitter. There was too much glitter at first, so I had to wipe off some to get "the right look". But no need to worry though, they are for looks, not for lighting. I love how they're just a little purple with the glitter. As you can see, I also printed a haunted house picture from the internet and put it in the family frame. Those are awesome!! Good job you! I going to steal all your ideas, and then decorate my house when Matthew is out of town!